50 km east of Salzburg, at the Attersee Lake, the small town of Weissenbach is located. There, just ashore the lake, you can find a mysterious house whose history still remains in darkness. 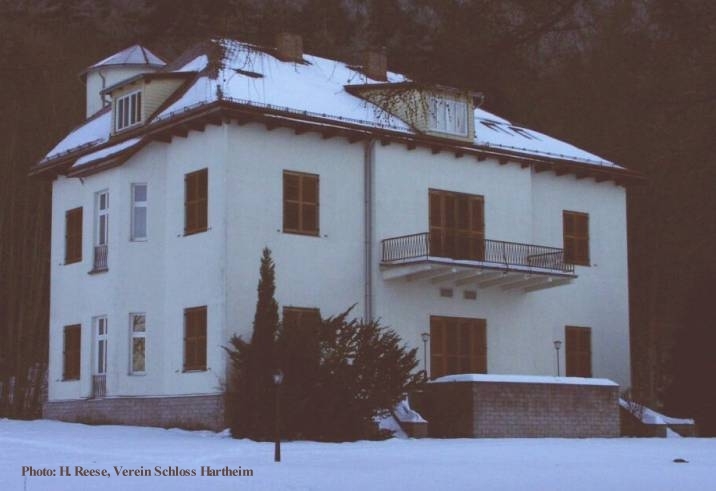 It's name was and still is "Haus Schoberstein". The villa was mainly used as recreation facility for T4 men. Sometimes the SS men from Aktion Reinhard were allowed to recover from their murderous work at the death camps in Poland. "Haus Schoberstein" was meeting place for the Belzec, Sobibor and Treblinka personnel. Here they met persons still working in Germany for T4. 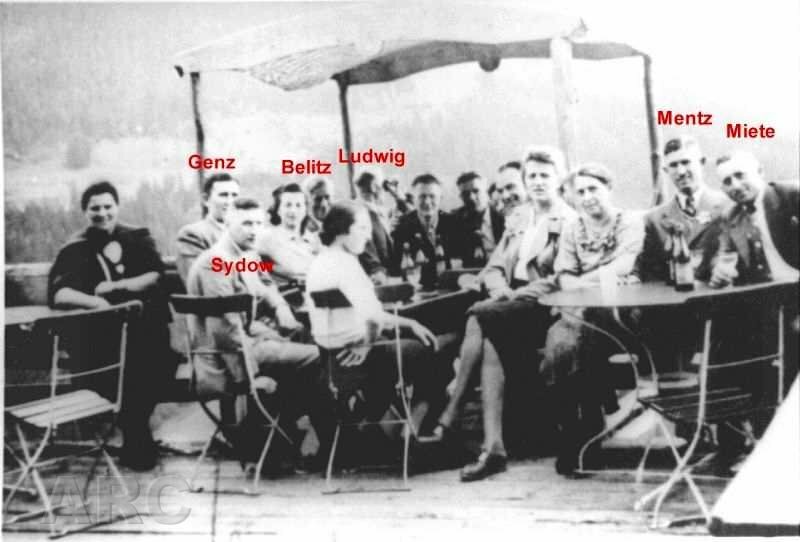 Together with their wifes or girl friends the killers spent relaxing days in the middle of the beautiful Austrian mountains, whereas their SS comrades in Poland continued their bloody task. That house served not only as a recreation home. When the allied bomb raids covered Berlin, the T4 main office at Tiergartenstraße 4 in Berlin was transferred in 1944 (as a precaution) to "Haus Schoberstein". On 11 October 1944, the T4 office was transferred to Hartheim near Linz in Austria. So the villa changed from rest home to archive and T4 office. 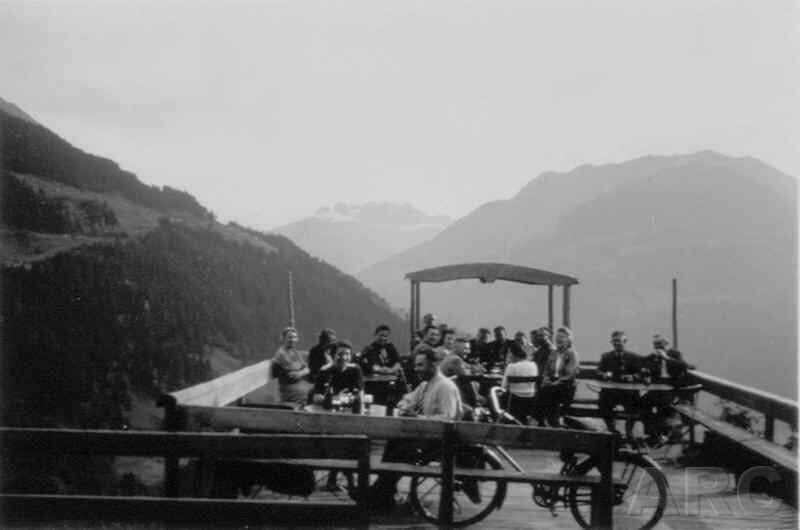 SS men of T4 having a refreshment on the terrace of "Haus Schoberstein" or another place nearby. The photos obviously were taken when men from the Treblinka staff spent their holidays at Haus Schoberstein. 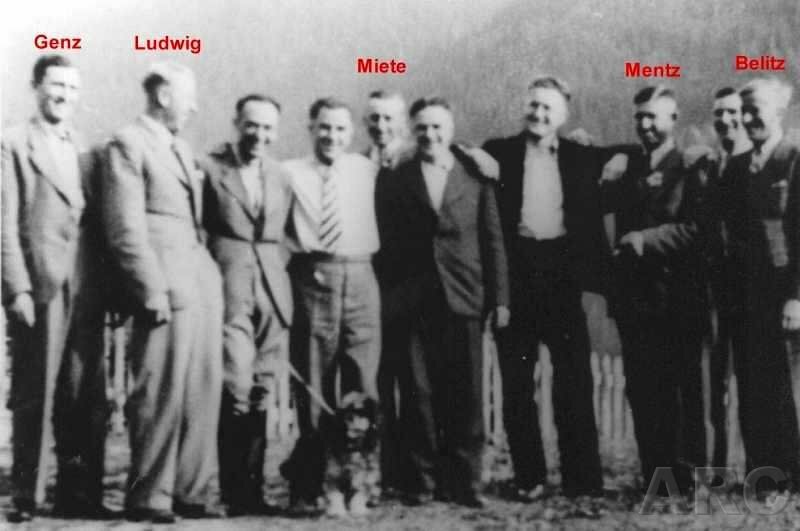 Identified men: Belitz, Genz, Ludwig, Mentz, Miete and Sydow.